Governor Jerry Brown signs AB-19 for first-time community college students. Alejandro Silva is a transfer student at USC and credits free college tuition for the opportunity to focus on his studies rather than having to work to afford an education. "I was able to pursue other opportunities [and] really hone in on my studies," says Silva. He transferred from Miami Dade College where he participated in an honors student program. Silva was able to receive free tuition and books while attending the Florida community college. 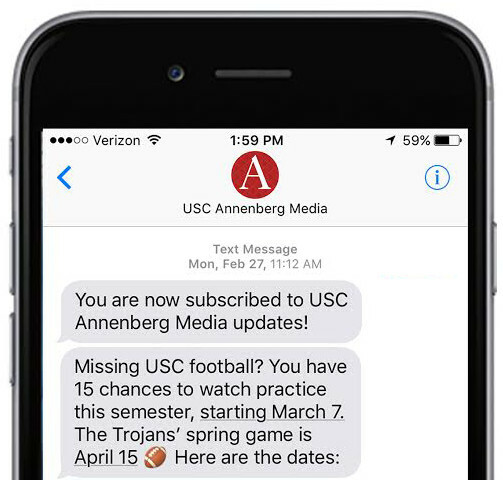 In the fall of 2017, USC admitted over 1,300 transfer students, and this number could double because of the new AB-19 bill. California Governor Jerry Brown signed a bill on Friday, which will provide free one-year tuition for first-time, full-time community college students. "It's a game changer no doubt about it. Community colleges will be free again," says Assemblymember Miguel Santiago. The bill, also known as the California College Promise Program, follows former President Obama's 2015 proposal for two-years of free tuition at community colleges. A proposal having been modeled after the Tennessee and Long Beach Promise Programs. This notion towards free college is not new. It has been at the forefront of political debates and was even the main topic of discussion during Senator Bernie Sanders run in the 2016 presidential-primary elections. AB-19 was pioneered by Santiago and backed by other chancellors and assembly members such as David Chiu, Kevin de Leon, Kevin McCarty, Francisco Rodriguez, Joanne Waddell and Elroy Ortiz Oakley. All of this support is due to the success of past promise programs. According to the bill's fact sheet provided by Santiago, the programs have been known to "expand access to financial aid, promote equity, increase enrollment, improve academic performance, and boost college completion rates." One other known benefits is the bill's promotion of creating more diversity for four-year institutions. "It has a tremendous impact on changing the demographics [and] at increasing diversity at all four-year institutions," says Santiago. A move towards a more diverse student population could benefit large universities like USC, where 33. 1 percent of students are white. This is according to the USC office of institutional research. "We need to lead from our colleges. We need to show our university partners that we have a diverse pool of students that will be very successful at their institutions," says Eloy Ortiz Oakley, chancellor at California Community Colleges. Oakley is not the only one who sees the demand for a more diverse pool of students. 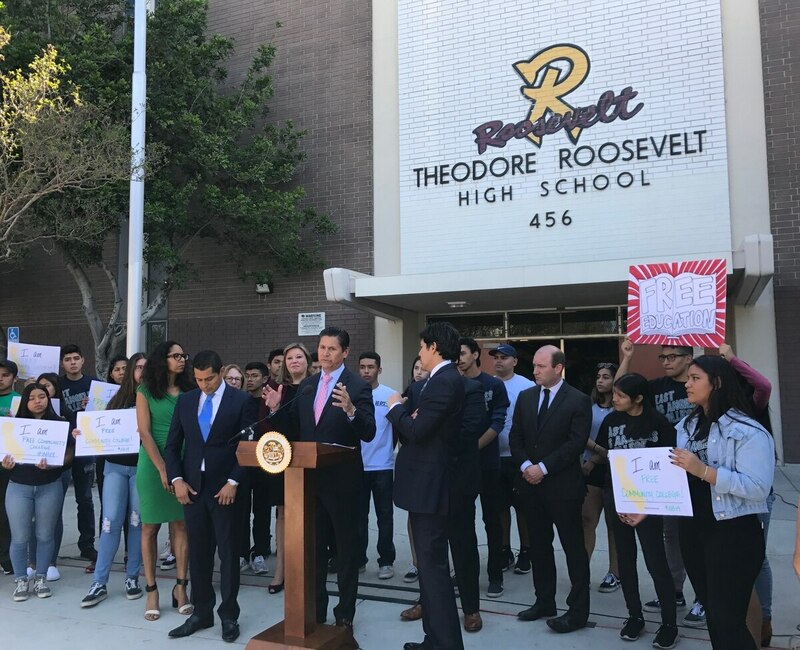 All across California, a coalition of students joined together and gathered more than 6,000 signatures in favor of free community college. Rise California is a grassroots movement that began a month ago and is already having an impact on legislation. CEO Max Lubin and his team presented the petition to Governor Jerry Brown on Thursday and were able to see progress the very next day. "We played a small role but what we showed was important," says Lubin. "What our petition showed is that there is overwhelming demand. If a brand new grassroots non-profit organization that's led by students can collect 6,000 signatures in a few weeks. I think that speaks to the demand for this bill." The demand is high, but free college for a year will not be an easy path to obtain. Francisco Rodriguez, chancellor of the Los Angeles Community College District, says there are important requirements students must meet to qualify for the tuition waiver. "You have got to take certain pathways, of course, you have to get certain counseling orientation, you have certain educational plans in order to benefit from this college promise," says Rodriguez. The bill is expected to go into effect on July 1st.